Raise your psychometric skill level by implementing the expert tips given to you on this page. Preparing beforehand increases your chances of success by about 73% (according to our latest client survey). While it is possible to sit the test without preparation, know that relying on your skillsets alone will not get you very far. Remember, you are competing with other job candidates. By self-practising, you will gain the needed competitive edge in today’s selective job market. 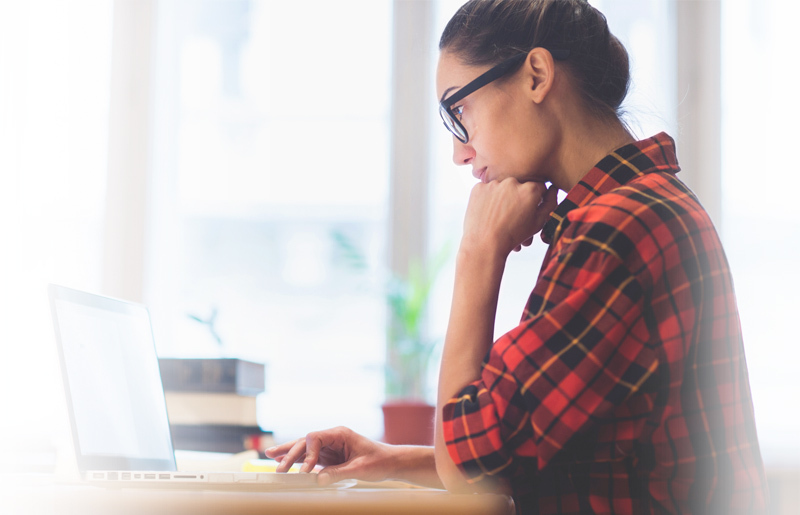 Practise to the fullest extent with access to one of the largest online psychometric preparation bank of mock tests, study guides and video tutorials. Not satisfied? Get your money back guaranteed. Your weaknesses: Strengthen yourself by honing in on specific weaknesses and try to simulate. For example, if you find that abstract reasoning problems are hard for you, start practising them more than verbal or vice versa. Short on time? Try watching video tutorials: either that or take short practise sessions that focus on specific topics. Note: short practise sessions can also prove invaluable. It allows you to spread your practise during breaktimes in your busy schedule. Look up your test provider: Finding out which test provider you will be taking will allow you to know the question types you are more likely experience. 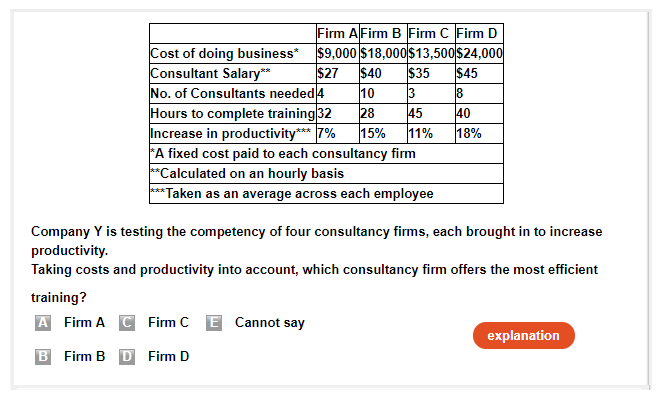 By finding the test provider, you will also gain insight into the format of the test itself, its length, the difficulty level of the questions, the question style (graph/table, word problems, number series), the basic requirements (such as using a calculator) and even the visual appearance of the test. If you don't practise questions that are similar in style to those provided by a specific test provider, you risk wasting hours and money on the wrong materials and most importantly result in a lower performance on test day. Contacting the employer's HR team or your recruitment agency and ask for more information. Using web resources such as Wikijob, Glassdoor and The Student Room. They are excellent places to connect with the community of past and fellow candidates. We have an entire section dedicated to employers' tests and assessments. Use the search bar at the top of our website and we may have a page that can help you. Answer 2 can be eliminated as it is a rotation of figure X. Answer 5 can be eliminated as it is missing part of figure Z. Answers 3 and 4 can be eliminated as they do not represent figure Z rotated 90° clockwise. We are left with answer 1, which is the correct answer, as it portrays a 90° clockwise rotation of figure Z turned white. 2) With the top part of the figure becoming dark. Answers, 1, 3 and 5 can be eliminated as they do not show figure Z flipped horizontally. Answer 2 can be eliminated as the bottom part of the figure is dark. We are left with answer choice 4, which is the correct answer, as it portrays figure Z flipped horizontally with the top part becoming dark. If done methodically, this question is not too complicated. Firstly, since A's figure for December is incorrect, let this value be Y instead. 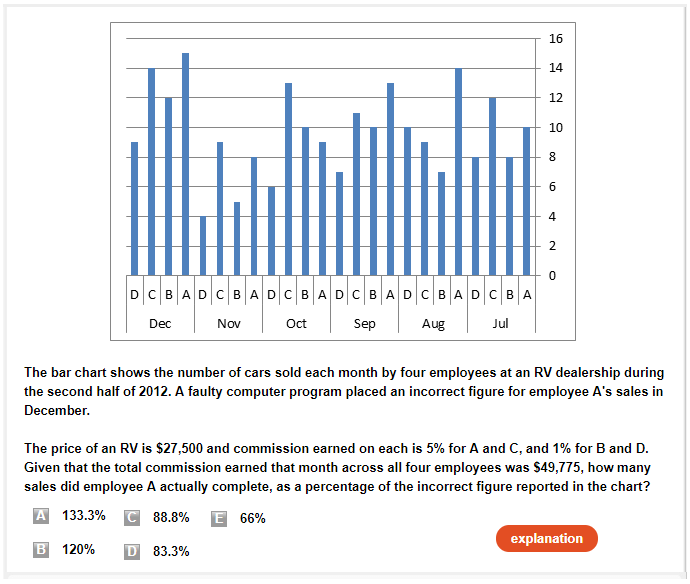 Therefore, the correct number of cars sold by employee A in December is 18. There is a lot of information provided in the table and in the question. All we need to do, however, is compare the figures in the table for each firm and determine which gives us the lowest cost per percentage increase in productivity. Note: Do not confuse 'most efficient' with the number giving the greatest value, the greatest efficiency here is what gives us the lowest productivity-adjusted-cost. A total of 23,632 people were identified or presumed victims of trafficking in the European Union, in a recent report received by the European Commission. The number of people trafficked in and to the EU increased by 18 percent over a two-year period. Fewer traffickers, however, have ended up behind bars, with convictions decreasing by 13 percent over the same period. Only 6 out of the 27 EU member states have incorporated the EU anti-trafficking directive into national legislation. This new EU legislation covers actions in different areas such as criminal law provisions, prosecution of offenders, victim support and victims' rights in criminal proceedings and prevention, as well as foreseeing the establishment in each member state of a national rapporteur or equivalent mechanism for reporting on trends, gathering data and measuring the effectiveness of anti-trafficking activities. The report was received by the European Commission, so we can infer that it was not prepared/owned by the commission. The European Commission [EC], the executive body of the EU, has re-adopted a decision to fine Mitsubishi Electric Corporation, together with Toshiba Corporation, for their participation in a cartel on the markets for gas-insulated switchgears. This was after part of the original decision was annulled by the European General Court [EGC] for a breach of equal treatment in the setting of the two companies' fines. The EGC had annulled the fines even though the Commission’s findings were upheld because in setting the fines the Commission had used sales figures for a different reference year than for other cartelists. Today's decision ensures that Mitsubishi and Toshiba receive an appropriate fine for their participation in the cartel; the newly imposed fines are calculated on the basis of the same parameters as in the original decision, with the exception of the reference year. The passage describes an instance in which the EC modified its decision based on a EGC ruling. While this serves as an example of EGC's judicial power, one cannot conclude that EVERY EC decision is dependent upon EGC rulings. It is possible that in other cases, EC acts on its own. Finding the right psychometric test advice can prove challenging. There are countless websites that sell test packages that can often miss the mark. Here, we focus our efforts on providing you with a customised practise experience with an emphasis on following the same features of the various assessment companies used by employers. We also offer many different levels of assessments used for an array of positions (grad/mgmt, general staff, senior mgmt, technical, specific professions and more!). Likewise, we consider what past clients have experienced, as well as diligently incorporate live updates to our existing package. This results in some of the best psychometric test preparation materials online. Complete access to mock tests, study guides & video tutorials built to prepare you for your psychometric assessments. Not satisfied? Get your money back guaranteed. Interviewing is never easy for anyone. However, through the correct practise, you are sure to make an impression on your interviewer. Learn how to answer questions by using the STAR method and how to prepare for competency vs. managerial interviews by viewing our interview preparation page. No Time (that's okay): Tests in most cases are not meant to be completed, neither in terms of time constraints nor in terms of the materials covered. No Cheating: Companies use powerful tools to verify your scores. Also, if your actual skills don't match the job requirements, sooner or later the truth will be exposed. No Rush: Getting a solid mark on a few questions is better than getting a low mark on most.